My genaral predictions, let’s see how far off the mark they land. I think Lewis will pick up his 6th title, Leclerc will be a match for Seb diluting his points haul. Bottas will dissapoint yet again, he’ll support Lewis early on then either get frustrated and fall out or be replaced mid season by Ocon. Merc and Ferrari will be on level terms performance wise, but Lewis with getting full support from his team unlike Seb at Ferrari. Kubica won’t be the second coming, and Russel will completely outshine him - well as much as he can in what will still be a dog of a car. Claire Williams will step down from her roll at the end of the year. McLaren, looks like a nice driver lineup - but can’t see the guys having the car they deserve. Riciardo to become the new Hulk, the guy that everyone thought could be a future champ - but never ended up in the right car at the right time. He’ll hang around for a number of years before heading of to do some V8 racing. Stroll to be utterly outclassed, throw his toys out of the pram, ask dad to have Perez replaced - but dad being a real businessman will actually drop his son. Last edited by yodasarmpit on Sat Mar 23, 2019 10:04 am, edited 1 time in total. Hopefully there will be fireworks at Ferrari, similar to Alonso and Hamilton in 2007. As for Mclaren, a bigger overhaul would be required as they will still lag behind the Renault. I expect Stroll to be outclassed but I'd stop at a generous margin from utterly. 1 of the things I surely see is the tension at Red Bull camp. I've got doubts Gasly & Verstappen will gel well. Bottas will dissspoint yet again, he’ll support Lewis early on then either get frustrated and fall out or be replaced mid season by Ocon. I pretty much agree with all of this! 2019 is poised to be such an exciting season. 4 rookie drivers (Russell, Albon, Norris & Giovinazzi) & 2 drivers returning (Kubica & Kvyat). 3 teams atleast will have a nice change or a complete change in their liveries (Haas, Williams & Force India). - Liberty announces street races in Iran, Syria, Somalia & Honduras. - Verstappen agrees to be the face of EU campaigns aimed at reducing schoolyard bullying & promoting passive driving. 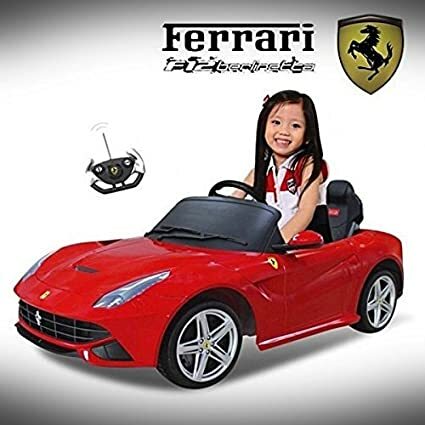 - Ferrari announce the youngest member ever to join their Ferrari YDP. - Alonso announces he's signed a deal with the Japanese government to pilot their Mars spacecraft in an attempt to win the space race for the first manned landing to the barren planet. Alonso said " I' am very excited to be in with a chance to win the quadruple crown. I have only the Indy 500 & Mars to win so to be in with a chance to win Mars is a great experience. Lead Engineer of Japans rocket propulsion division, and former head of Honda's F1 engine program, Sotoru Gotto, commented on hearing of Alonso's appointment. " After working closely with Fernando in F1, I very much look forward to putting Fernando on the first flight our prototype spacecraft." I’m starting to wonder if Bottas will even make it to mid season. - McLaren will produce a very good car, completed by a correct gear ratio. Alas, Alonso is no more here (which doesn't prevent Norris doing a Vandoorne). - Ferrari wins the WWC and Leclerc the WDC. Vettel retires after Monza and is replaced by Alonso (too late for him to win the WDC... once more). - Mercedes has a hangover so Hamilton does a Vettel (I mean repeated mistakes à la Vettel... He doesn't retire mid-season - not yet). - Hass is the best of the rest and Grosjean thrashes Magnussen, getting his first GP win (after Verstappen collides with Hamilton, who was lapping him). - Lots of podium for Sauber. Raikkonen signs for 2 more years. They rename the team "Sober". - Stroll wins at Baku. Next race see Perez (who forgot whose team is Racing-Beside-The-Point) crashing into his team mate. - At the end of the year, Red Bull moves to Formula E to be sure to get another engine supplier than Honda. They sell Toro Rosso to Honda, and so Honda gets back in 2020 as a work team. And not to pay damages to the F1 circus owners, Red Bull maintain in F1 a ghost team using second hand Honda PU and second hand pay drivers. A team that will sit at the end of both championships during the 2020 season, allowing Williams to go up one place in the WDC. They call the team Sitting Bull, for obvious reasons. - Max Verstappen, who spent a whole year calling Honda names he did even knew they exist when he was calling Renault names (but he gets a helping hand from Marko to enrich his vocabulary), hesitates on his future. Jos gets an idea (yes, I know...). So Max goes to Williams for 2020, bringing Agent Orange as a title sponsor. All of this is not so important, as 2020 is the last year of Formula 1 before it's dissolved into Formula E. Where Red Bull, that made the move one year earlier and bored everyone before the start of the 2021 season with the advantage they got from their clairvoyance, loses one more championship to... Honda. I think vettel will get the upper hand on Leclerc initially but by mid season Leclerc will catch up and make things interesting. Vettel will still outscore him after getting the team to back him and will win his 5th world title. I expect merc to take another step down the field. It has been a steady decline since 2016 and I don’t see why it shouldn’t continue. Hamilton still driving well but will be bitten by the reliability bug again after 2 solid years on that end. Bottas to struggle even more as the other teams have closed the gap. Will lose his seat to ocon but will race somewhere else in f1 in 2020. Verstappen may have the fastest car in the field but it won’t be reliable enough. He will be a Championship contender but will finish 2nd or 3rd in the WDC. His teammate Gasly is going to be outclassed and Kvyat might be in line to make his return at Red Bull in 2020. Mclaren will continue as the second worst car in the field. They don’t have Alonso to bail them out anymore as their drivers will be mediocre at best. Some minor improvements will be seen at the end of the year though. Haas will continue as being best of the rest most of the time and grosjean will be more consistent throughout the season. Hulkenberg will make life difficult for Ricciardo on Saturdays but will lose the battle more often than not on Sundays. Renault will show no real progress as a team. They will be under more serious threat from Haas and possibly Sauber. Will finish 5th in the WCC. Force India will have an even more solid car and Perez will get another podium, but Stroll is going to let the team down and it will cost them at a shot of finishing 4th in the WCC. They will finish 6th. At Sauber I won’t be surprised if giovannazi is quicker in qualifying but kimi will score more points. The car will also take another step up and they will finish 7th. Williams will be the worst car on the field again. I’m afraid the car will make it difficult for Russel to show his talent but he will beat Kubica very convincingly. Claire Williams out as team principal. Toro Rosso are going to be competitive some weekends, as in challenging for best of the rest, but I expect them to continue being Redbull Honda’s guinea pig and therefore not be a real factor in the WCC with too many grid penalties.. Kvyat will beat Albon and will show a lot more maturity. Last edited by kleefton on Fri Jan 11, 2019 11:42 pm, edited 2 times in total. Hulkenberg will make life difficult for Ricciardo on Saturdays but will win the battle more often than not on Sundays. Renault will show no real progress as a team. They will be under more serious threat from Haas and possibly Sauber. Will finish 5th in the WCC. Just curious, but how can you consider Sainz mediocre at best but expect Hulk to beat Ricciardo? Sainz was very much at Hulk's level this year - the points total is misleading. Indeed. It was a typo. I meant to say that ricciardo will win on sundays. Hamilton to win the WDC ahead of Vettel and Verstappen. Leclerc is closer to Vettel than Kimi was in terms of the final points tally, and that's enough to ensure Ferrari win the WCC at the final race. Bottas - who finishes P5 in the standings - is replaced by Ocon, but not until the end of the season due to the WCC not being settled. Red Bull are roughly where they were in 2018 - still not close enough to win at tracks where their engine deficit is noticeable, but able to win at less power-dependent tracks. It's enough to ensure Max is vaguely in the title battle for most of the season, albeit always with one hand behind his back. But by the end of the year, we start seeing little cracks in the Red Bull/Honda partnership because of this. It's not helped by Renault making a step forward and scoring their first podium since returning to F1. Hulk is close to Ricciardo, who himself is seen as having a very good year, and that helps elevate Hulk's reputation a little as well. The battle for fifth is very close between Haas, McLaren (aided by Renault's improvement) and Force Whatever They're Called. All three teams miss out on good points finishes because of driver mistakes, and we frequently hear 'If McLaren still had Alonso they'd be comfortably fifth'. Ultimately Haas surprise (?) a few people and finish P5, just ahead of McLaren and Lawrence Stroll's team. Sauber take P8, Williams P9 and Toro Rosso prop up the standings. As in 2018, all 20 drivers who started the season score at least one point. How I would like to see the WCC at the end of the season. I know, unlikely but stranger things have happened! Ferrari and Mercedes are fairly even again and Ferrari's stronger line up wins them the championship. However because for most of the second half of the season Vettel and Leclerc are pretty even, Hamilton takes the WDC. Bottas does ok and finishes fourth but loses his seat to Ocon. There is another winter discussing whether Mercedes have made the right driver decision following an impressive debut season from Russell. Red Bull are third and have reliability issues and blame Honda for them all, even though some of them are of their own doing. Renault comfortably fourth fastest and Ricciardo is best of the rest throughout the season. Hulk struggles to match him on Sundays which sees the beginning of the end for him. I think every other team might have an issue whereby one of the two drivers struggles/isn't quite good enough/in F1 too soon.. Norris, Stroll, Giovanazzi, Kubica, Albon and the Haas drivers aren't consistent enough. Going out on a limb to suggest a 3 team battle for the championship. I think Red Bull will make significant gains. I expect Renault and Mclaren to be tier 2 alongside Racing Point, Haas and maybe Sauber. Toro Rosso and Williams will be Tier 3. Toro Rosso was 7th in 2017 with Renault and ended 9th in 2018 with Honda. McLaren was 9th in 2017 with Honda and was 6th last year with Renault. According to that metric Renault is much the better P/U. Of course a lot of other things were going on. Still I am not predicting a lot of good things for the RBR/Honda/Verstappen-Gasly pairing. Financial experts tell us that, "Past performance is not an indicator of future results" and Honda could go the way of Cosworth as a badge that once had tremendous success and a long spell as an also ran. Red Bull wins a few races and makes it a true 3 team title fight. Racing Point (Force India) are very strong. Both drivers get a podium, and Stroll is much closer to Perez that originally expected. Sauber, Torro and McLaren scrap it out for the last few point positions each race....close battle. Norris and Albon are plesant surprises. Mercedes and Ferrari remain on top. I have no faith in Leclerc to immediately rule over Vettel. That will not happen. Bottas will either improve big time or be put aside mid season. RBR: Gasly will not be a close match to Max. Renault: They will establish themselves as firm 4th, with Hulk beating at times Ricci. Force something something point: Stroll will show that he is better in some races, for sure. Sauber: Funny team they will become with more attention because of Kimi No podiums in sight, tough. STR: Will benefit from double Honda team. HAAS: The bigest question-mark. It looks like they are more capable than other teams, both to dramatically improve and dramatically fall back. Mclaren: Nothing new over there. Weakest driver line ever in their entire history. They will miss Alonso's input dearly. They will fall back. Williams: Kubica will do nothing spectacular, nor the new coming Russel. They might still beat Mclarens if they put an extra effort not to finish last. This is what I genuinely don't understand with all this talk about how RB are going to challenge for the championship, win races & make it a 3 way fight at the top this year. * McLaren went from 9th in 2017 with what was said to be a very good car design & a Honda engine to 6th in the championship, surpassing the Honda powered TR last year, doubling their points tally, with a Renault engine & a car design that was said to be fundamentally flawed. * TR scored 20 fewer points last year than in 2017, falling from 7th in 2017 to 9th in 2018, only beating Williams, when they converted to the Honda PU with a car design that, as far as I know, was said to be quite a good one in both years. What evidence is there that Honda, after 4 seasons of trundling around tripping over themselves at the back of the grid, getting lapped and struggling to finish race after race, have found the magic key to all their problems and are all of a sudden going to start to win races and challenge for championships? I just don't get it & I wish someone would explain to me why this seems to be the general consensus for Honda & RB this season because I honestly can't see where all this talk is coming from. Last edited by Jezza13 on Sun Jan 13, 2019 9:22 pm, edited 1 time in total. Personally, I think the general consensus is a mix of McLaren hating and wishful thinking. There's no objective reason to think Honda will do better than Renault next year. The only people saying they will are... Honda themselves, Red Bull, and Toro Rosso. Not exactly a list of impartial sources, is it? I think Williams will surprise this year. Only way is up for them. They won’t be last on the ladder. Kubica won’t have a 2nd season. Bottas will be replaced by Ocon, Kubica will be replaced by Bottas. Renault to overtake RB in the constructors race. I don't think I've read one article questioning RB's decision to go with Honda. The only thing I've read is the vibration article last week but that almost went un-noticed or was quickly disregarded as more a minor hiccup than a major issue. People, and when I say people I mean people on forums & journalists, are saying they expect RB to win races and challenge for the championship this season, or at least close the gap slightly on Merc & Ferrari, but I can't remember reading 1 post or article saying why, after the last 4 years of failure from Honda, they think this is going to happen, especially with Honda's track record since they've been back. It'd be nice to know the thought process that's drawing people to this conclusion. What evidence is there, besides what's being said by Honda, TR & RB, that leads people to think Honda have finally got it right? I feel like a lot of people have simply bought into Red Bull's criticism of Renault to such an extent that they're subscribing to the notion that any engine will result in an improvement. Personally, I expect Renault to make more of a gain this year than I do Honda, but then again I'm not expecting either to find even close to the amount of time they actually need to bridge the gap to the Mercedes/Ferrari PUs, and I'm not convinced either will without significant rule changes (i.e. 2021 regs) meaning all four are starting afresh. And even then I'd fancy Mercedes to ace it once more. Well I don't know what most people think, but for me it is a combination of things. First of all, honda did improve massively power wise last year. They were best of the rest at a power circuit, could have on other occasions except for those forced penalties. They have overtaken Mercedes and Ferrari powered cars on track multiple times last year, something they just were never able to do when they were with Mclaren, clearly showcasing that they have some power. The other thing is that the Honda power unit is smaller than any other power unit, and you combine that characteristic with Newey's Redbull philosophy, it just sounds dangerous for the competition. This is the 6th year of these power units regulations. It is only a matter of time that convergence happens. For sure this year the power units will be as close as they will ever be, so chassis performance will matter even more and we know that Redbull usually puts out outstanding chassis year after year. Of course it is not a given that Redbull Honda will come good, but these are good reasons to believe that they might be. The reliability is the big unknown, because they really have not shown that they have that covered. I’m predicting TR will come last in the Constructors. I haven’t bought into the Honda hype at all. Renault will be 4th. 5th will be a fight between Red Bull, Racing Point, Sauber and Haas. Those were my predictions for 2018. With the regulation changes and so many driver changes, it's very difficult to predict how it will go this time. Ricciardo to beat Hulkenburg - but it's very close. Verstappen to beat Gasly - it's not that close. Leclerc to beat Vettel - again, it's close. Out on a limb there with the predictions on Leclerc and Giovinazzi. Could happen, but will be interesting to see. I could go with that. Bit of change of thought from my initial post & an expansion on reasons for conclusions. 1. Ferrari - I think the combination of Vettel re-grouping & having a better year, Leclerc stepping up & Bottas having another bad one will see the prancing horse take the WCC. 2. Mercedes - Hamilton will have another great year & I maintain he'll take his 6th WDC but it wont be enough to compensate for Bottas' continued slide into F1 oblivion. 3. Renault - They've shown they can produce a race winning engine on numerous occasions & doubled their points tally last year. With a new engine on it's way, increased investment, Ricciardo joining & RB going to Honda, I see (hope?) them finishing a comfortable 3rd with a podium or 2. 4. Red Bull - A combination of having a vested interest in seeing Renault perform well, a dislike for Red Bull & Max Verstappen that borders on the pathological, plus looking at all the evidence on the table, sees me putting RB a distant 4th. It's all well & good having a powerful engine but if the engine can't last the distance then it's useless. 7. Sauber - Came on strong at the end of last season. With Raikkonen on board & help from Ferrari I see them jumping 1 place up in the standings. 8. Haas - I think they'll be the big losers in 2019. I don't think they'll improve as quickly as those around them, especially with their driver line up. 9. Williams - Surely it cant get any worse can it? I think Russell will acclimatise well but sadly I expect Kubica to struggle & last only 1 season. The only thing that'll stop them winning the wooden spoon is explained below. 10. Toro Rosso - Honda engine, Kvyat, Albon, guinea pig for big brother team. I expect a long season for Red Bull light. Having said all that, there's probably more variables & unknowns at play coming into this season then there has been for any year since maybe 2014 so there's a lot of guess work going into all the predictions in this thread. I'm predicting a season of mediocrity for Racing point. I'd be amazed if the financial woes before the takeover hasn't stymied the development of the 2019 car, even with that fresh injection of cash later on. The Ferrari engine seems to be improving all the time, so just having a Merc engine won't be the advantage it once was. A really competitive Ferrari engine might well help Sauber and Haas past Racing Point. Renault have big ambitions to so that PU might be significantly stronger than it previously was. Then there's the driver situation. Renault have strengthened their line up. Haas have consolidated, Sauber have the experience of Raikkonen to replace the raw talent of Leclerc. There's no getting away from the fact that Racing Point have clearly weakened their driver lineup. We can argue all day about of Stroll jnr is as bad as some say, but nobody sober would argue that baby Stroll is better than Ocon. Gasly is going to surprise people in a positive way. I don’t expect him to match Verstappen or anything, but I believe that by the end of 2019, Bottas will be wildly regarded as the weakest driver of the top 3 teams. I'm guessing it's a prediction regarding Gasly vs Bottas. Also I'm not sure most would think Kimi was better than Bottas over the course of 2017-2018. It's arguable. As it stands right now, I think most people rate Bottas above Gasly. I reckon Gasly’s gap in qualifying to Verstappen will be similar to Bottas-Hamilton, but Gasly will be more competitive and racy than Bottas on race day. Just look at the results of the last 2 seasons and it's Kimi that's been bottom of the pile. If Leclerc shows himself to be better than Bottas that's not good for Bottas but if Leclerc matches Vettel what would that make Vettel given that being worse than Leclerc is not a good look because Leclerc himself is not top tier I would assume? Wouldn't it be far more rational to assume that if Leclerc can beat Vettel, he is tier one? When Hamilton matched Alonso way back in 2007, it didn't prove that Alonso wasn't the driver we thought he was - it proved that Hamilton was special. If Leclerc can match Vettel, it will just be the same situation again.